What is a Blog? Blog vs. Website & How Do They Work? Home » Blog » What is a Blog? Blog vs. Website & How Do They Work? Are you new to the world of blogging? If you are, you might still be wondering what is a blog and how is it different from a website? There’s no shame in it, the internet can be a confusing place for beginners and we all have to start somewhere. Fortunately, we’re here to help guide you through the world wide web and explain what a blog is and the differences between a blog and a website. So, if you think about starting a blog or website, after reading this beginner’s guide you’ll be one step closer to becoming an expert on the subject. A blog is a type of website where the content is presented in chronological order, typically with newer content appearing first followed by older content. The content on blogs is also known as blog posts or blog entries. A blog post is your piece of writing, or it could include another format of content like photos, videos, etc. Blogs are usually run by 1 person or a small group of people and the information is presented in a less formal, more conversational way. Blogs also have comment sections where users can respond to particular blog posts. In the early days of blogging, a blog was used by most people as a sort of personal diary. Bloggers would share their thoughts, details about their day-to-day lives, and personal photos. Back then, users were building and running their own personal web pages in order to blog. But once the popularity of blogging began to grow, a number of companies started to take advantage of the new trend. In 1999, Blogger (which was later acquired by Google, LiveJournal, and Xanga all launched as platforms for bloggers. Then, in 2003, WordPress released its first version as a blogging platform. WordPress today is the most popular online blogging platform and actually powers 30% of the internet. As you can see, you can write a blog on pretty much any subject you want. 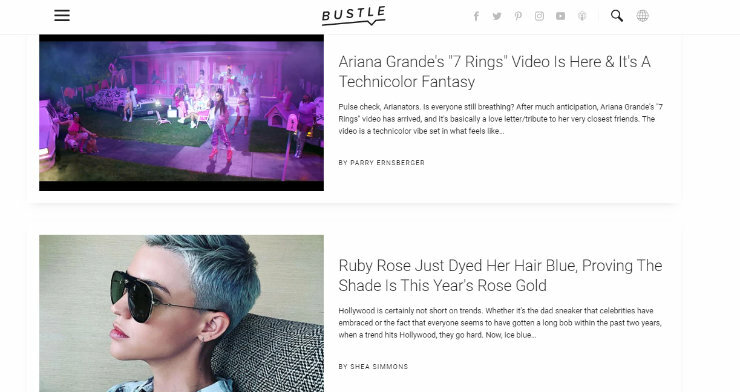 Bustle was launched in 2013 and focuses on topics for millennial women such as beauty, fashion, celebrities, and even politics. They have nearly 80 million readers tuning in monthly. 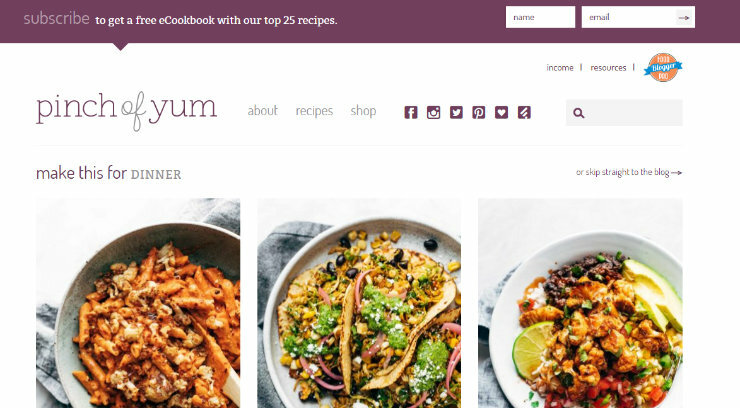 This next one is Pinch of Yum, a popular food blog featuring thousands of delicious and easy to cook recipes. The owner of the blog, Lindsay, was formerly a high school teacher but was able to turn blogging into a full-time career. One of the top travel blogs on the web is Dan Flying Solo. Dan documents his travels around the world and gives tips and advice to aspiring adventurers. 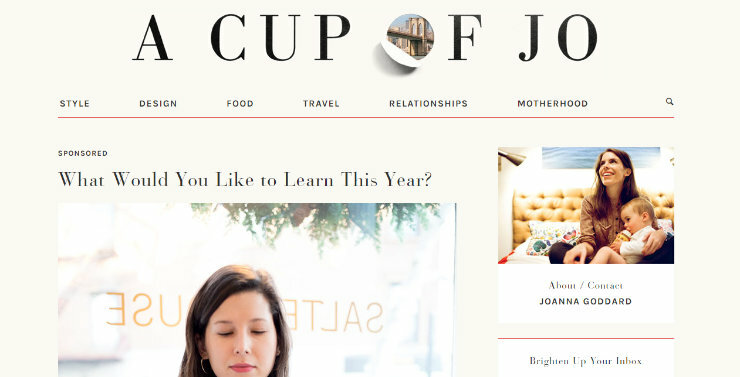 A Cup of Joe is well-known mommy blog, owned by Joanna. The blog started out as a hobby to share parenting and lifestyle advice but due to its success, Joanna was able to turn the blog into her full-time job. Now, what’s the difference between a blog and a website? Although blogs are a type of website, a typical website is unchanging. It has a number of interlinked static pages where related content is organized and it’s not frequently updated. Normally websites have a home page, an about page, a services/products page, and a contact page, but you have the ability to create any page you want. Websites are usually created to present information about a business and they’re less interactive and more of a one-way communication. Today, every business is expected to have a website. It’s a way to provide information to potential customers and also a place for customers to purchase their products or services online. With website builders in the market, it’s become simple to create a website even when you have no knowledge of code. 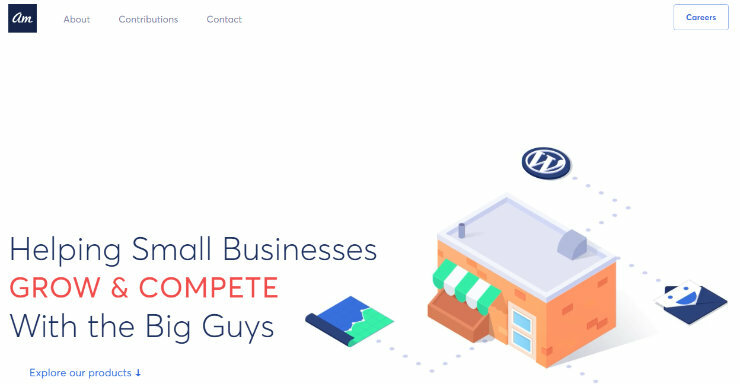 As you can see, the website of Awesome Motive, the management company behind IsItWP and WPBeginner, has a clean design and only a few pages featured in the menu at the top to show information about the business, no blog. Another example is this one from the restaurant chain Panera Bread. They have pages in their menu at the top of their home page to provide information to their customers about the locations of their restaurants and info about their catering service, no blog on this website either. Also, check out these best WordPress restaurant themes. Blog vs. Website: What Should You Choose? To organize their thoughts and feelings. Share their opinions on a topic or number of topics. Share their creativity or expertise on a subject. Make a little extra income. If your goal is related to any one of these reasons and you have a lot of fresh information you want to share with the world, then a blog is probably a good choice for you. On the other hand, if you’re already running a business that sells products/services or you want to start one, then you should choose a website. Your future customers need to be able to find your business and information about it on the web, and the best way to make that happen is by making a website. If you’ve decided to build a website and want a detailed guide on how to do it, take a look at our post on How to Make a Website – Step by Step. Can You Have Both a Blog and a Website in One? There’s also no reason why you can’t have a blog and a website in one. You can easily create a professional looking website for your business with WordPress and add a blog page to it along with your static pages like your about page and products/services page. Blogging boosts your SEO (search engine optimization). Presents your business as a thought-leader in the industry. Attract more visitors to your website through organic search and inbound links. Connect people to your brand and widen your reach online. OptinMonster, a popular lead generation tool for bloggers to increase their email subscribers, has a website with a blog. They feature information about their product on their pages but also have a blog to share lead generation tips and tricks. 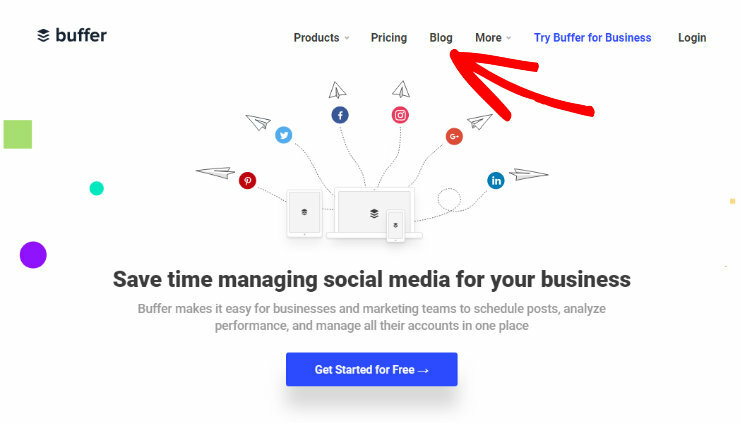 Buffer is known for their popular blog where they share social media marketing tips. But they’re not just a blog, they’re website provides visitors with information about their social media management platform as well. Now that you’ve decided that you want to start a blog, you might be wondering how to make money blogging. Many people start a blog as a hobby and just do it for the love of writing and sharing their thoughts with others. But you can actually make money blogging too. If you know how to make money online with blogging, you could even quit your day job and turn your blog into a money-making business. One of the easiest ways to make money blogging is by displaying ads on your blog with Google Adsense. Google Adsense is a free to use and takes care of all of your ads for you. They’ll find the right ads for your blog, display them, collect payment from the advertisers, and send you the payments after taking a small cut. The more clicks the ads get on your blog, the more you get paid. Another popular way for bloggers to make money is to participate in affiliate marketing. Affiliate marketing is where you talk about, recommend, or review a product in your blog posts and provide a link for your readers to buy those products. The link is tracked and you get a commission anytime someone purchases the product through clicking your link. Many bloggers also sell digital products like eBooks, guides, or templates. You can also turn your blog into a membership site which readers have to pay to get access to. Another option is to sell online courses and webinars. As you can see, blogging doesn’t have to be just a hobby for you, you can actually turn it into a business. Today it’s easier than ever to start a blog and anyone can do it – even beginners. With WordPress, the world’s most popular blogging platform, in minutes you can build a stunning blog website. It’s important to note though, there are 2 different types of WordPress: WordPress.org and WordPress.com. The first is self-hosted and the second is a hosted solution. 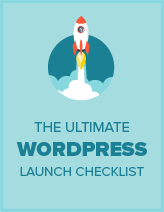 We recommend you choose WordPress.org. Not only is it more affordable but you also get access to thousands of free WordPress plugins you’ll need for your blog. If you want to learn more about the differences between WordPress.org and WordPress.com, check out our full comparison of WordPress.org vs. WordPress.com. When starting a blog with WordPress.org, in order for it to be available on the web you’ll need a web hosting account and a domain name. A blog hosting account and a domain name will cost you money, and if you’re just starting out, money can be tight. Check out these best blog name generators to find the perfect blog name. Luckily though, we worked out an awesome deal with Bluehost for you. 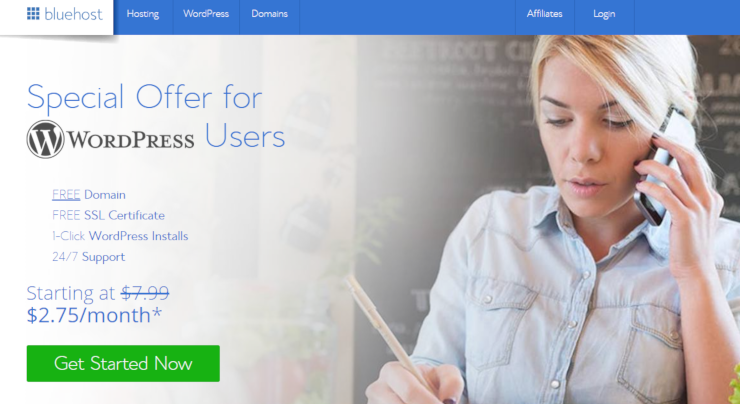 Bluehost is offering IsItWP users a FREE domain and a big 60% discount on hosting. Basically, you’ll be able to start your blog for only $2.75 per month! Bluehost is one of the biggest hosting companies in the world and are officially recommended by WordPress, so you know you’re in good hands. For more details, you should read our complete Bluehost review. After you’ve purchased hosting, WordPress makes it super simple to build and design the blog of your dreams. For a more in-depth guide on starting a blog, check out our post How to Start a Blog (and Make Extra Income on the Side). We hope this article helped you learn the differences between a blog and a website and that you now know the answer to what is a blog. Now get out there and start blogging. If you liked this article and want to keep learning more about blogging, take a look at our post on 100+ Amazing Blogging Stats & Facts.